Blended 60% cotton/ 40% polyester double pique. 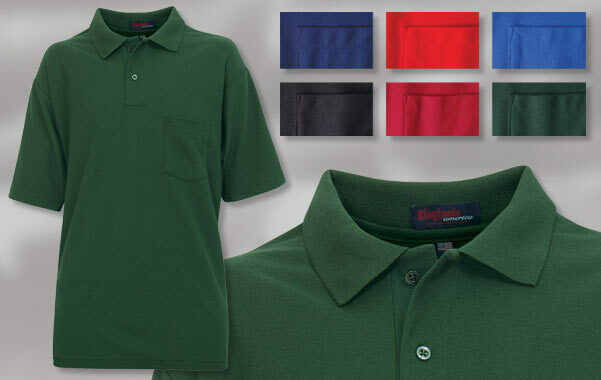 Matching knit collar, hemmed sleeve, 2-button placket with matching buttons, left chest pocket, hemmed bottom. Union Made in USA.